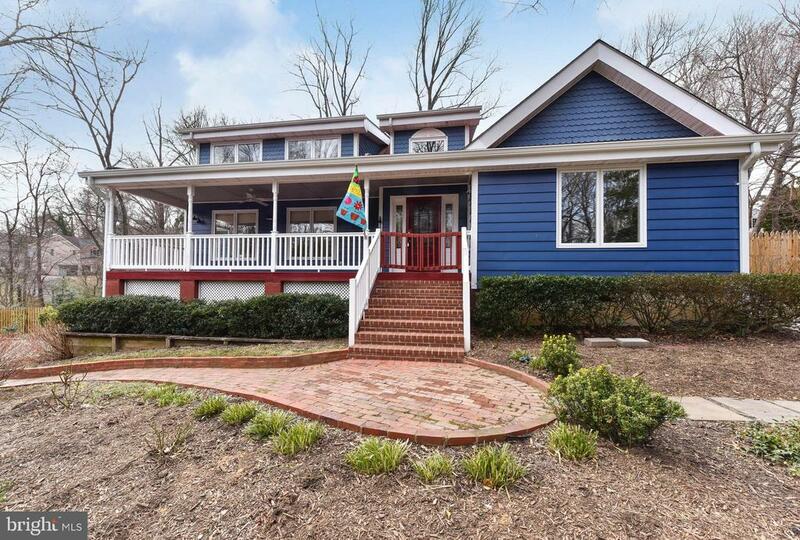 All Annandale homes currently listed for sale in Annandale as of 04/22/2019 are shown below. You can change the search criteria at any time by pressing the 'Change Search' button below. If you have any questions or you would like more information about any Annandale homes for sale or other Annandale real estate, please contact us and one of our knowledgeable Annandale REALTORS® would be pleased to assist you. 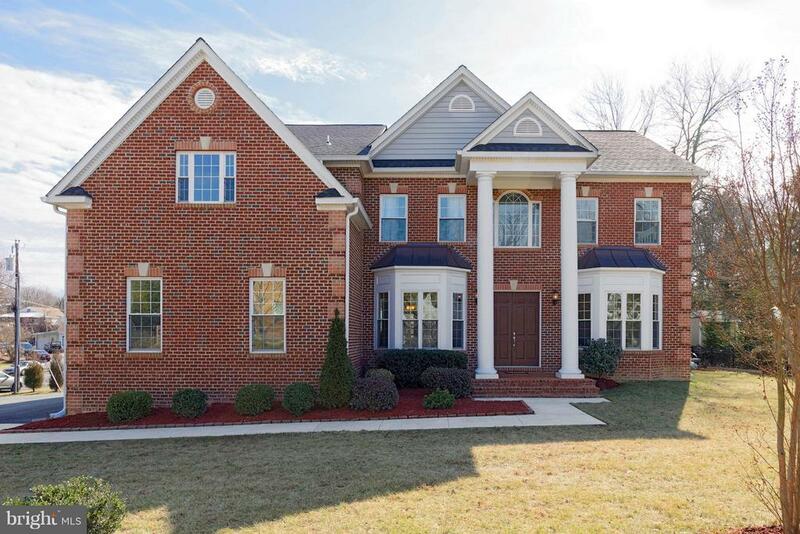 "Stunning custom home in Woodson HS~5 BR/5 BA/2 HB~3 sides brick~high end finishes~10' ceilings~8' doors~elegant moldings~Architect columns~HW throughout main lvl~kit w/granite/SS/island w/cooktop/extra sink/2 pantries~natural cherry cabs~2-story Fam Rm w/FP~lib w/pocket doors~gorgeous chandeliers~upgraded electric/plumbing fixtures~fresh paint in/out~enormous rec rm w/FP loads of storage~deck~pool"
"To-be-built new construction from Desbuild Construction Inc! 3 finished levels with high end upgrades throughout. Features include open concept floor plan, luxury appliance package, large gourmet kitchen, basement wet-bar and wine cellar, large mud room, main level bedroom with full bathroom. Huge master suite. 3-car garage and large deck in rear. Permits pending." "Woodlands of Robey- Cortona. Come see the Executive Homes as they are under construction! Two homes being built right now. Nine Homes in Total in this secluded community. This one will be ready in July! Award Winning Builder, Brush Arbor building on large Homesites. Close to Beltway and Mosaic District. Modern Floor Plan for 2019 Living! Chose a home being built or your lot today! 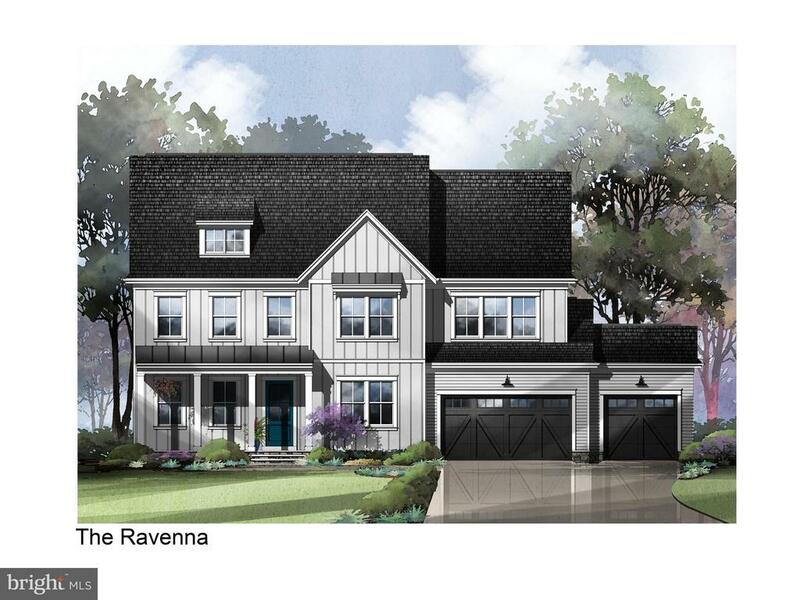 Call lister for more information about our models and floorplans... also visit our website at www.thewoodlandsofrobeyavenue.com"
"Woodlands of Robey- Ravenna. Come see the Executive Homes as they are under construction! Two homes being built right now. Nine Homes in Total in this secluded community. This one will be ready in July! Award Winning Builder, Brush Arbor building on large Homesites. Close to Beltway and Mosaic District. Modern Floor Plan for 2019 Living! Chose a home being built or your lot today! Call lister for more information about our models and floorplans... also visit our website at www.thewoodlandsofrobeyavenue.com"
"Step into special when you set foot in this fabulous custom home! Created by and for the discerning client that seeks tasteful, thought out uniqueness of design and flow that delivers a one-of-a-kind property! Main level master suite, two story family room with gas fireplace, 9' ceilings on the main level, gourmet kitchen with upgraded appliances and granite counter tops, heated pool, much more!" 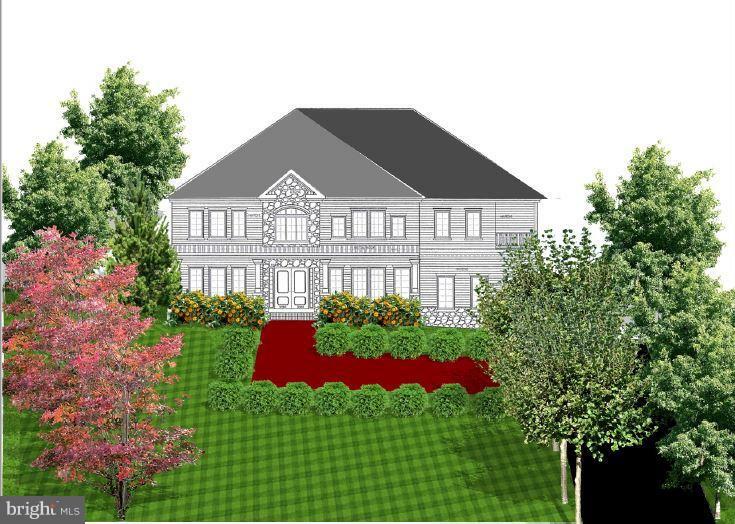 "Grand Custom Home to be built by Greater Washington Home LLC. Over 7,200 total sqft. of luxury living on 0.4 acres of flat level lot. Three finished levels, 5 BR 5 FBA 2 HBA, 3-car sideload garage. Two-story Foyer, Wraparound Deck. Built with highest workmanship and most exquisite selections of building materials. Expected delivery date: August 2019. Please contact LA for architectural plans." 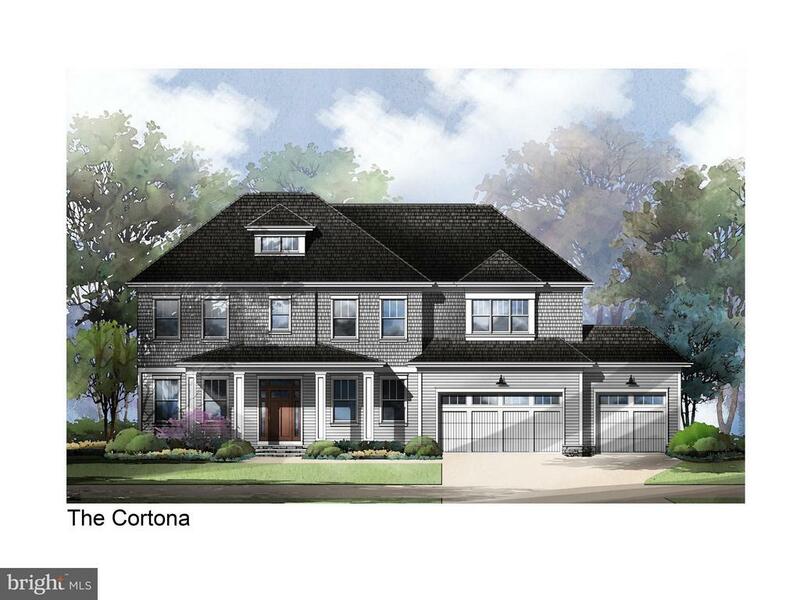 "Ultimate 2019 Brand new your Dream Home on ~ acre lot with luxurious features, including 2-car side-load garages, and flexible floor plans to suit every need, Master bedroom with sitting area, high end master bathroom with walk in closet. Bonus rooms, 9ft high ceilings, large Anderson windows. Gourmet kitchen w ss appliances, wonderful kitchen island w breakfast bar. Hardwood floors. Rough wiring surround sound speaker system thru out the house. Upper level laundry and basement laundry room. 2 Zones heating, 2 water heaters, French doors to deck, library on Main level, over 6500 sqft living area. No HOA ,"
"Nearing Completion! 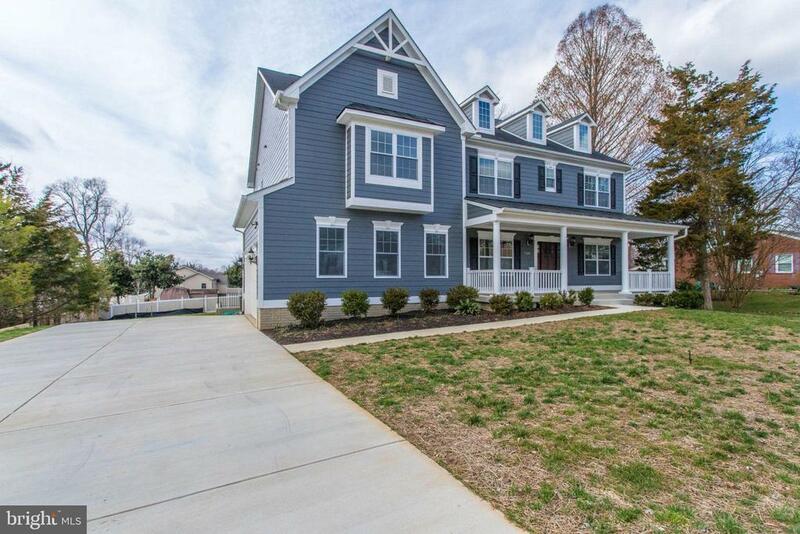 Exquisite new construction Craftsman home nestled on quiet street inside the beltway! Over 5,000 sq ft of living space in this 7 bed 6.5 bath, modern, open concept home. Highlights include, gourmet kitchen, 9ft ceilings, main level office/2nd master, oversized bedrooms and top of the line finishes throughout. Nearly half an acre quiet lot close to shops, dining and the beltway. Must See!!" 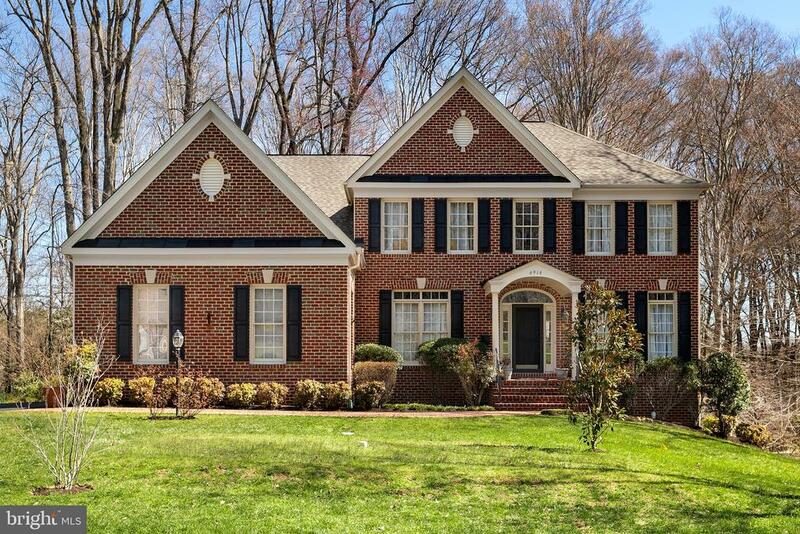 "***HUGE 50K PRICE REDUCTION***Large brick colonial sitting on over 1/2 an acre lot! 6BR & 5.5 BA with a 3 car garage. Main level has hardwood floors throughout with an office. Walk-out basement with a bonus room that can be used as a theater/gym. Conveniently located inside the beltway!" "NEW CONSTRUCTION! 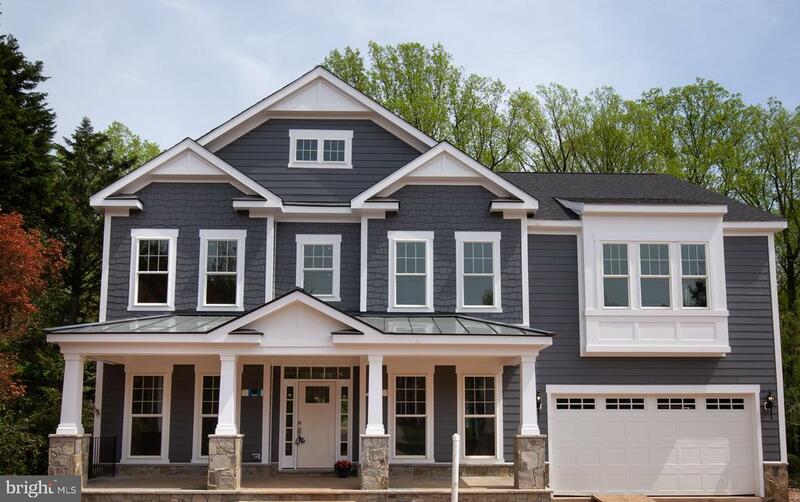 This stunning 5 Bedroom 4.5 bath 2-car garage home is nestled on a spacious cul-de-sac homesite in the heart of highly desired Annandale.Inside you will be greeted by an open and airy floor plan and an abundance of natural light. The gourmet kitchen showcases modern cabinets, spacious island, large walk-in pantry w/mud room, trendy granite countertops and SS appliances.Enjoy the privacy and convenience of working from home in the large first floor office. Upstairs, you will enter into your Owner~s Suite with luxurious spa-like bath boasting large shower, dual-sink vanity, designer selected flooring and wall tile surrounds and enhanced plumbing finishes.Your secondary bedrooms feature private buddy bathroom access and oversized walk-in closets.To ease the load, the laundry room is thoughtfully located on the second floor making chore time a breeze. The fully finished basement with private bedroom and full bath will make a great space for generational living, movie night and game day celebrations! Mature trees and manicured lawns surround this hidden gem! This location provides easy access to major commuter corridors and employment hubs. For a limited time, buyer will have the opportunity to meet with our in-house designer to personalize color selections. Sister listing at 1000320760 which is a 3 levels." "NEW CONSTRUCTION! 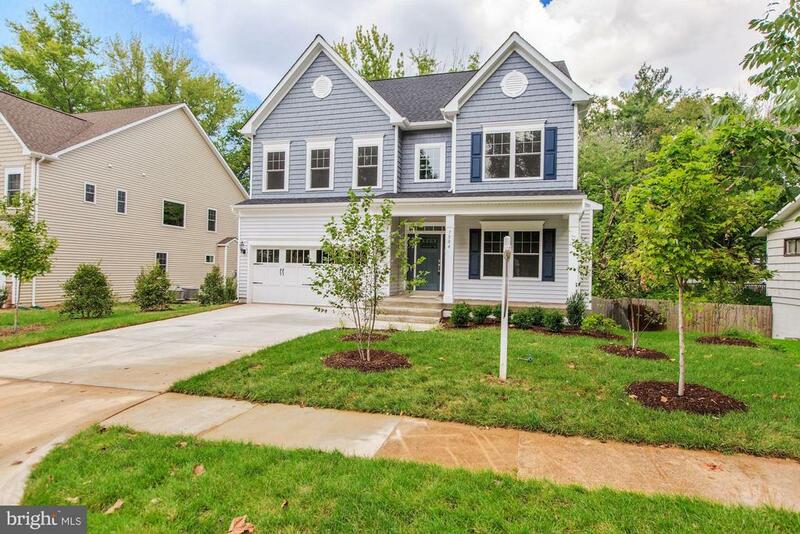 This stunning 5 Bedroom 4.5 bath 2-car garage home is nestled on a spacious cul-de-sac homesite in the heart of highly desired Annandale.Inside you will be greeted by an open and airy floor plan and an abundance of natural light. The gourmet kitchen showcases modern cabinets, spacious island, large walk-in pantry w/mud room, trendy granite countertops and SS appliances.Enjoy the privacy and convenience of working from home in the large first floor office. Upstairs, you will enter into your Owner~s Suite with luxurious spa-like bath boasting large shower, dual-sink vanity, designer selected flooring and wall tile surrounds and enhanced plumbing finishes.Your secondary bedrooms feature private buddy bathroom access and oversized walk-in closets.To ease the load, the laundry room is thoughtfully located on the second floor making chore time a breeze. The fully finished basement with private bedroom and full bath will make a great space for generational living, movie night and game day celebrations! 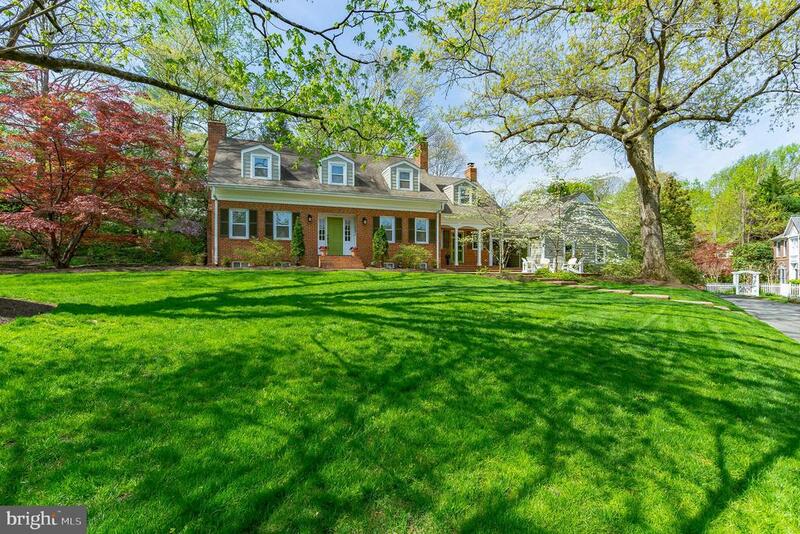 Mature trees and manicured lawns surround this hidden gem! This location provides easy access to major commuter corridors and employment hubs. For a limited time, buyer will have the opportunity to meet with our in-house designer to personalize color selections. 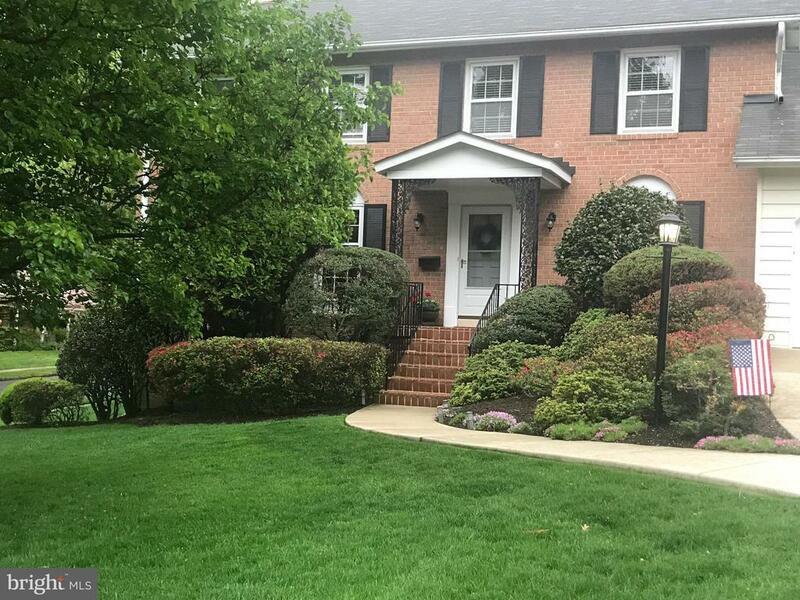 See sister listing at 1000482818"
"BEAUTIFUL & BRIGHT6BR 4.5 BATH CUSTOM BUILT HOME, 3 CAR GARAGES*** BAY WINDOWS ,DOUBLE STAIRCASES, GOURMET KITHCHEN W/ SS APPLIANCES, CHERRY CABINETS, HARDWOOD FLOORS,1 BR & 1 BATH IN LOWER LEVEL *** 2 HR NOTICE TO THE AGENT***"
"8522 & 8520 Forest St sold together (two lots) - Builders/developers over 1.15 acres total. Beautiful contemporary home designed by owner. Open concept, 4 bedroom, 2 bath home has endless possibilities." "CONVENIENT LOCATION, INSIDE BELTWAY,CLOSE TO SHOPS,RESTAURANTS, LITTLE RIVER TURNPIKE AND I-495. THE HOUSE IS A TEARDOWN, VALUE IS IN THE LAND, 1.46 ACTES FLAT LAND (ZONED R-2) NEAR THE END OF CUL- DE- SAC, BUILT YOUR DREAM HOME W/TENNIS COURTS, SWIMMING POOL ETC"
"Rarely is there a home with stunning setting of perfect landscaping with stone walls, perennial gardens, outdoor living space consists of front & back and breezeway brick/fieldstone patios, 2 car Arts and Craft garage (plus 6-7 private parking spaces) with loft storage AND a gorgeous home professionally decorated by the owner designer. PERFECT PACKAGE OF GORGEOUS GROUNDS AND HOME! Totally renovated 3/4 large bedrooms, built-ins galore and renovated custom baths. Main level boasts a glorious kitchen with a kitchen porch which opens on the outdoor living space. The kitchen has custom cabinetry with soft close, wall of exposed brick with hidden shelves and cubbies plus a gas brick fpl. Appliances include Dacor gas oven/range, KitchenAid French Door Refrigerator and more. Kitchen floor is tile with Corian counter tops. Step up to a FRM w bay window and dual built-in bookcases. A study, or could be a dining room or main level bedroom has a brick fpl. Front to back HUGE living room with an additional brick fpl. The lower level has a recreation/game room with 6 windows, the last of the 4 brick fpl plus the pool table conveys. Updated Windows, Gas HWH, Humidifier, Gas Forced air Furnace, A/C, Double Pane Windows, Roof w/ gutter covers plus kitchen and baths! Exterior of the home is James Hardie Plank and Brick. Attention to every detail throughout the home and grounds! A pleasure to show!" 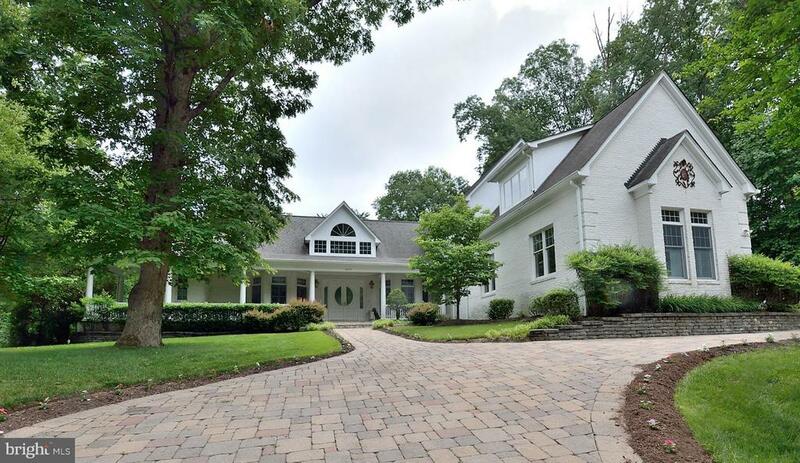 "Spectacular home at a fab price!5 BR, 4.5 bath colonial loaded w/ upgrades, incl: hdwd flrs thru-out mn level, gourmet kitchen w/ island & granite counters, 2-sided FP in fam rm, banquet-sized dining rm!Giant MBR &MBA & 3 addl ex lg BRs up!Huge fin w/o lower lvl w/ legal BR, private bath & giant rec rm!2-car garage!New roof& deck! Only 12 yrs old on 1/3 acre inside bltwy!Walk to restaurants&shops!" 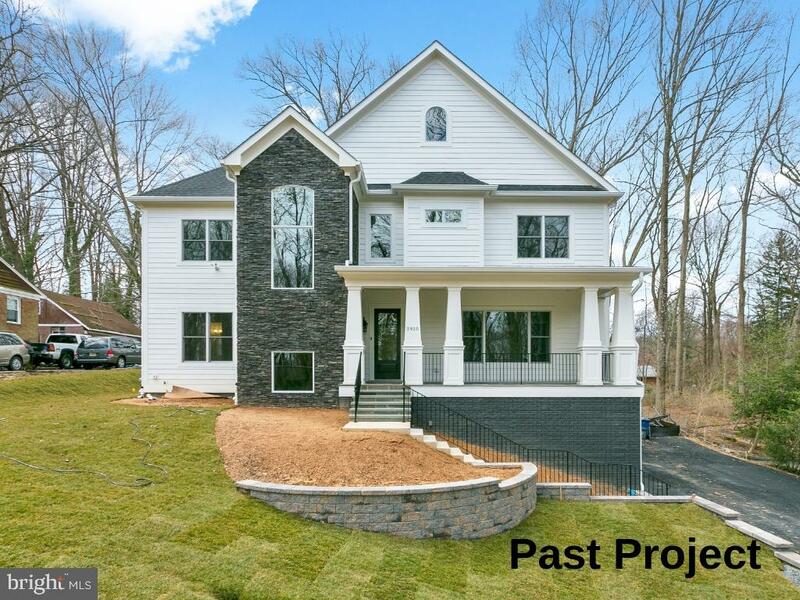 "NEW CONSTRUCTION in ideal Annandale location! Elegant hardwood floors across entire main level - Formal dining room with triple crown molding opens to spacious kitchen with granite counters, tall cabinets, & modern stainless steel appliances - 4 spacious bedrooms upstairs, 2 of which include en-suite bathrooms - Gorgeous master suite features attached bathroom with 2 vanities, & sumptuous shower"
"1ST OPEN HOUSE SUN APRIL 21 1-4 pm Rarely available, Highly sought-after Winterset Neighborhood*5 Large BRS, 3 Full Baths, 1 HB. 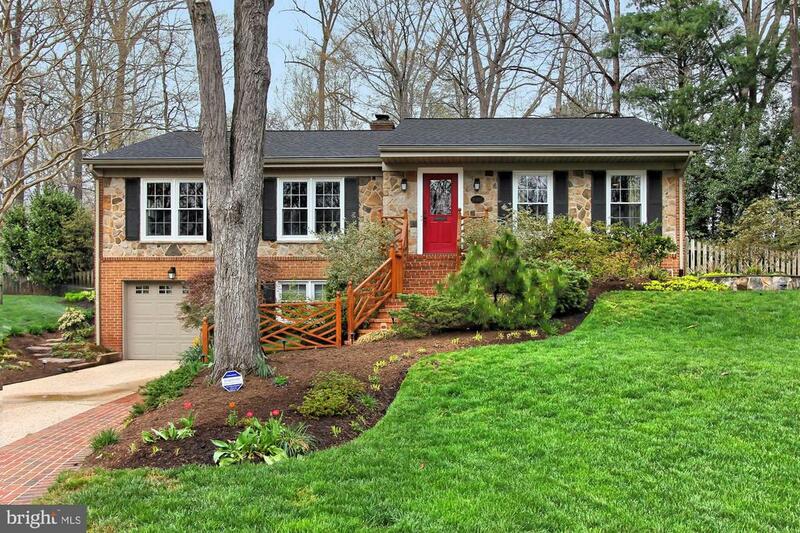 Ideally located 1 mile outside I-495 Beltway-EZ HOT Lanes/I-66/I-95/Rt 50/Dunn-Loring METRO/Mosaic District/Inova FX HospitalMove-In Ready for new owners w/eye-pleasing freshly painted neutral colors, gorgeous hardwoods, ceiling fans*BONUS Sunroom overlooks extensive, picture-book landscaping & patio. You will be thrilled with a fully finished, light filled WALKOUT Basement complete w/Large Bedroom, Full Bathroom, Family Room, Gas FP, Incredible Bar for entertaining AND a side entrance. Top-rated Fairfax County Schools-Woodson HS, Frost MS, Mantua Elem." "Totally remodeled from top to bottom & drop dead gorgeous! Every detail thought through with only high end finishes. Fabulous 200sq ft master bath/spa add'n with river rock wall, slipper tub, walk-in shower, heated flrs!Stunning great room/kitchen w/ cust shaker cabs, 6-burner Viking cooktop, exotic Brazilian granite,wine butler, 2 Fisher-Paykal dishwashers; custom built bookcases flank gas FP, hardwood floors!Banquet-sized formal dining room! Huge MBR w/ built-in shelving!3 add'l BRs! Remodeled hall bath! Lwr lvl has spectacular remod family room w/ gorg wetbar featuring hammered chrome sink & extra fridge!Enormous craft rm with loads of storage & built-in sink! 4th BR and fabulous remod 3rd bath with steam shower & jets! Hardwired ceiling speakers in every room! AND 1400 bottle wine cellar with redwood wine racks & wine AC unit! Exterior features huge wrap-around deck with screened gazebo and in-deck hot tub with custom stone surround!Stone facade!Prof landscaped front & fenced backyard! Irrigation system! Large shed with electrical service! Huge workshop off garage! New roof and siding! Double pane windows throughout! More goodies inside! This is a perfect 10 inside and out!!" "Gorgeous & bright 5BR/2+(2) 1/2 BA single family house w/ large 2 car garage on a cul-de-sac in prime location! So many beautiful renovations & upgrades make this a turn-key home just waiting for you! Brand new hardwood floors throughout the main level & fresh paint throughout. New gourmet kitchen with new cabinets, granite countertops, brand new stainless steel appliances, built-in desk & table space. Incredible Master Bathroom/Bedroom suite renovation w/ walk in closet w/ organization system installed; MBA has gorgeous stand-alone tub, huge glass-enclosed shower, marble tiling, double vanity. MBR has separate AC unit for extra cooling on hot summer days. Chair rail moldings in kitchen & dining room. 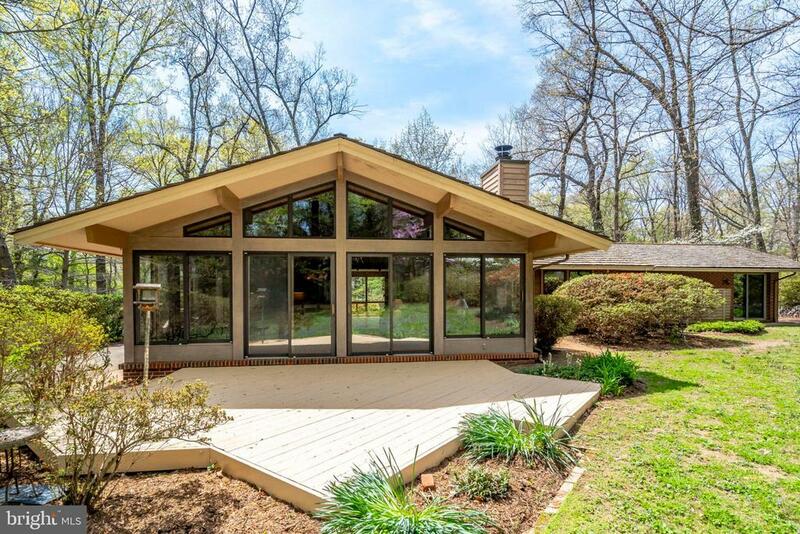 Family room has built ins & fireplace w/ french doors to fully enclosed screen porch & large deck (w/ privacy fence around an area for seating &/or a hot tub). Main level bedroom w/ 1/2 bath & 4 bedrooms & 2 bathrooms on upper level. Plenty of storage & cabinet space throughout. Lower level second family room/play room & separate laundry/utility/storage room. New roof w/ architectural shingles, new windows throughout, new recessed lighting throughout main level, renovated upper level shared bathroom, new insulation, newer AC, new insulated front door, window treatments throughout & so many more updates... Quiet neighborhood on cul-de-sac (no through traffic), easy access to walking trails, parks, community recreation center w/ playground, pool, tennis courts, etc. Wakefield Forest ES & Canterbury Woods ES for AP Center (grade 3-8). Open house this Sunday, 4/21, 1-4pm - everyone welcome to stop by to check out this gorgeous home - it could be yours!" "Dreaming of a Seattle country home? You can have it here, surrounded by a serene .52-acre lot. Spacious room sizes plus an open floor-plan provide a variety of daily living and entertaining options. Newer windows and soaring ceilings create bright interior spaces. Warm hardwood floors and wood accents plus a wood burning fireplace create a cozy atmosphere and a comfortable house. Rare main level bedroom with full bath. Updates in kitchen and baths, plus an abundance of built-ins and storage options on all 3 levels.Morning coffee tastes better while gazing out to friendly wildlife from your sunny breakfast room. Enjoy quick cleanups with this pass-through window to the kitchen. Extensive landscaping and hardscape surround the house. Whether sitting on the front porch under a fan, in the screened porch, or on the deck, you will experience the power of nature. Lots of landscaping and hardscape-garden as much or as little as you like. In the preferred Woodson pyramid. Garage plus driveway parking for 5 cars. A very private setting, yet so close to major transportation systems. Zip to the Pentagon or DC via one of three Metro bus stops just steps from the driveway. Conveniently located near 495 as well as Northern Virginia Community College plus two airports. You can own this one-of-a-kind retreat if you act now. HMS Home Warranty in place." 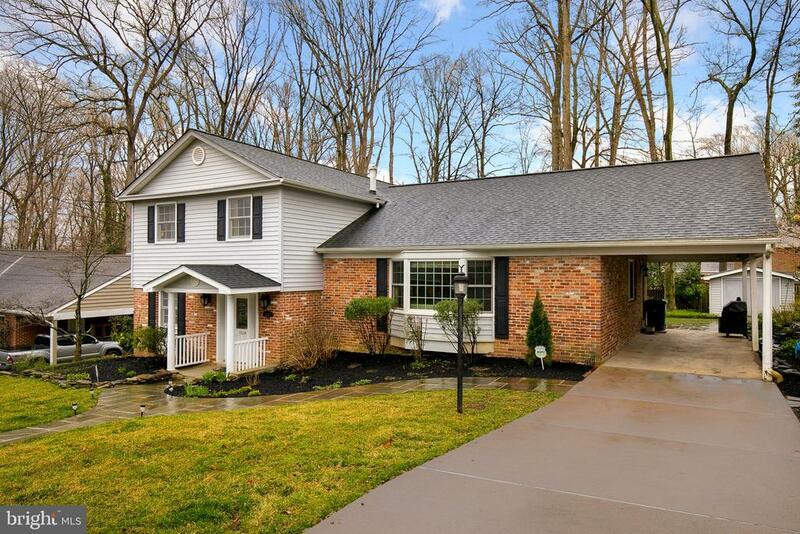 "Spacious and Beautifully updated four level home in Wakefield Chapel Estates. This home has been updated throughout with newly renovated master and hall baths, a gourmet kitchen open to the large and sunny breakfast room. Plenty of covered parking for two cars in the tandem carport with easy kitchen access. Tons of room to spread out in both the formal living space and the recreation room just half a flight down. Storage? There's plenty! From the many office's built-ins to the master bedroom built-in closets to the lower level and backyard shed, there is room for all your toys. Four bedrooms on the upper level, with the main level bedroom, there is plenty of room for everyone! The private backyard is beautifully landscaped and ready to host your next party. 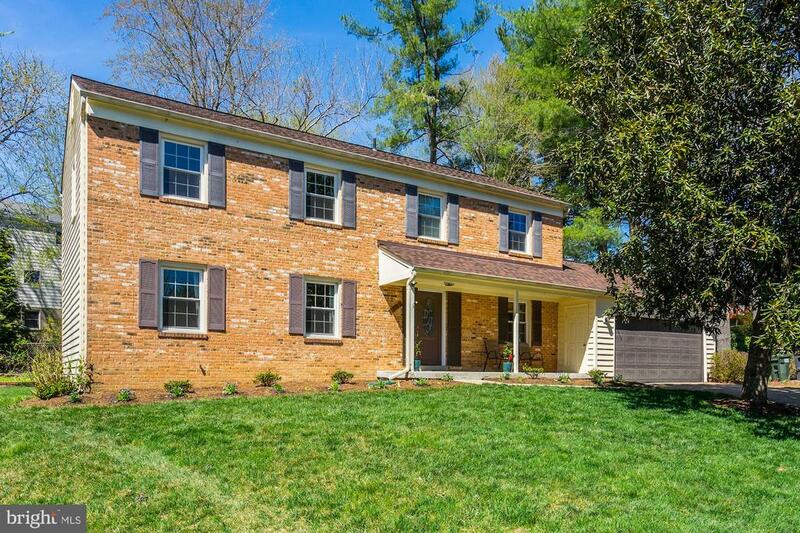 Located close to both parkland and Northern Virginia Community College, the easy commute from this home cannot be beaten." "This is a must-see home with special features. 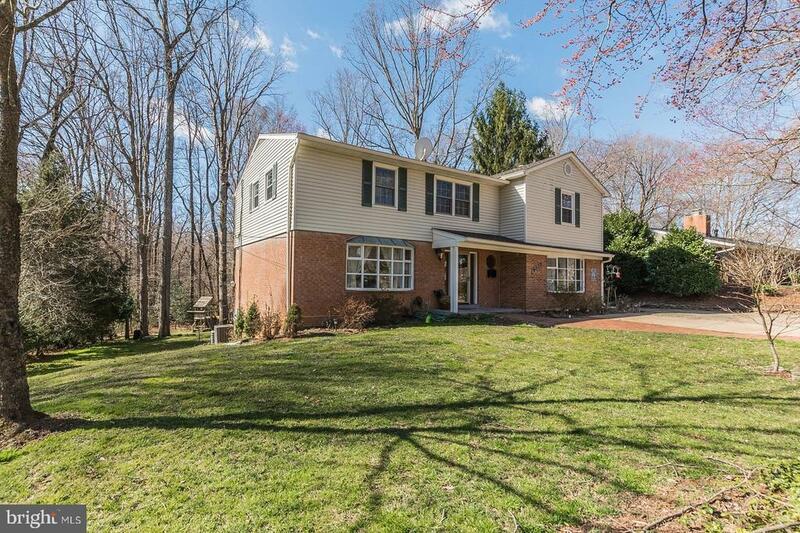 Come just to see the view of the majestic Fairfax County parklands that adjoin the back yard. The property location is close to schools and shopping and adjacent to the Metro bus stop to the Pentagon and Crystal City connection. Inside, a large family room with wood burning stove, and a remodeled kitchen are part of a walk-around design that includes three bay windows with window seats and access to a large deck. 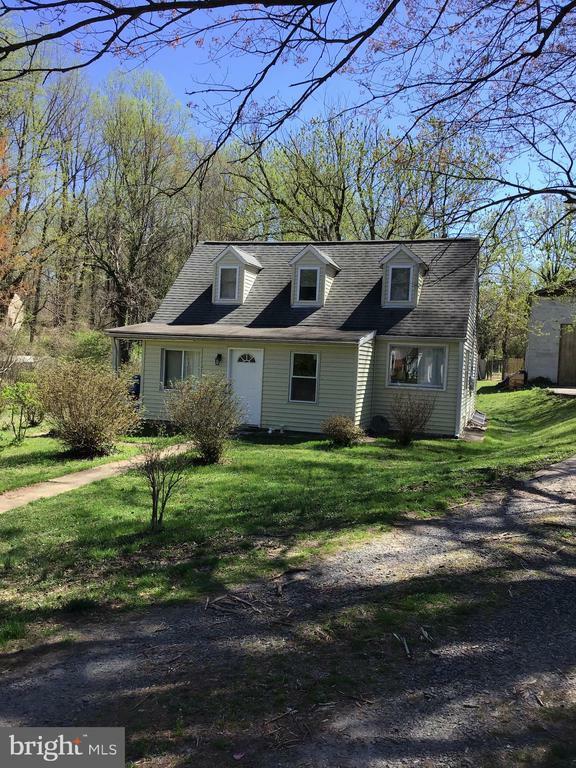 Both the deck and the master bedroom upstairs are among the spots where you will enjoy the natural views of woods and creek behind the house. There is a fully finished basement with 4 closets and built-in cabinets and shelving units. Upstairs 5 bedrooms include 3 walk-in closets and 2 master bathrooms. The master bedroom has 2 walk-ins, four large built-in cabinet units, and the most glorious view in the neighborhood."